Organization theory is a fast-developing field of microeconomics. Organizational approaches are now used in a wide range of topics in business studies. They are based on information economics, contract theory, and mechanism design. This book introduces such organizational approaches and how to adopt them as business applications. The book presents the theory in the first two chapters and proceeds to cover the applications of the theory in the three chapters that follow. The theory lays the foundation and the applications illustrate how the theory can be used in a wide range of business problems. 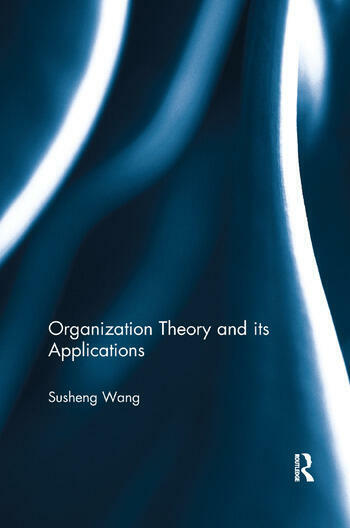 The book covers many concepts and ideas in organization theory, including complete contracts, incomplete contracts, allocation of control rights, option contracts, convertibles, and joint ventures, concisely. It will be of use to third-year undergraduates and above, as well as Master’s- and Ph.D-level students in business schools. Susheng Wang received his Bachelor's degree in Mathematics in 1982 and his Master's degree in Mathematics in 1985. He became a lecturer at Nankai University, China, in 1985. He received his Ph.D in Economics at the University of Toronto in Canada in 1991. He was an assistant professor at Concordia University in Canada between 1991 and 1993. Since 1993, he has been with Hong Kong University of Science and Technology. His fields of research are organization theory and information economics. He has received three Franklin teaching awards for teaching excellence since 2005. He has been a Yangtze Chair Professor (an honored position) at Nanjing University in China since 2007.